A barred owl's right ear is higher than its left ear. Hearing from 2 different angles helps it pinpoint the location of prey. 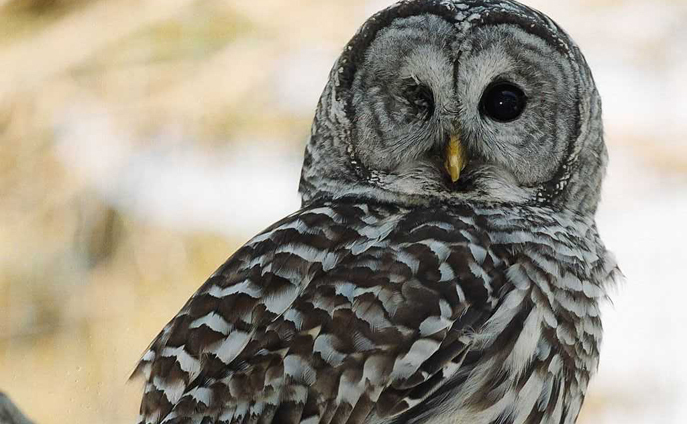 Barred owls are the only owls in Alberta that have dark eyes; all other owls have yellow eyes. The barred owl's call sounds like "who-cooks-for-you? Who-cooks-for-you-alllllll?"